1. Quality Assurance – stainless steel 304 has a very high corrosion resistance property, normally can be used for more than 20 years without a trace of stain. 2. Stability – With size 12 expansion screw deeply and firmly anchored into reinforced concrete walls to ensure safety and stability. 3. 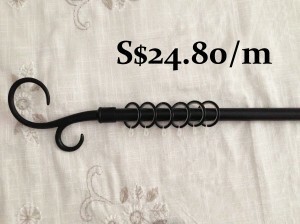 Variety of shapes available – the rod is machine bend into L, U or quarter circle to fit different bathrooms. 4. Professional installation – the use of diamond drill before hammer drilling greatly reduces the chance of creating cracks on the tile surface. Our installer has more than 5 years experience in doing wet works. 5. Elegant end cap design – our end cap wings are smooth and shiny. Allen key screw is located at the side of the cap to ensure the rod is firmly grabbed onto the mounting screw. 6. 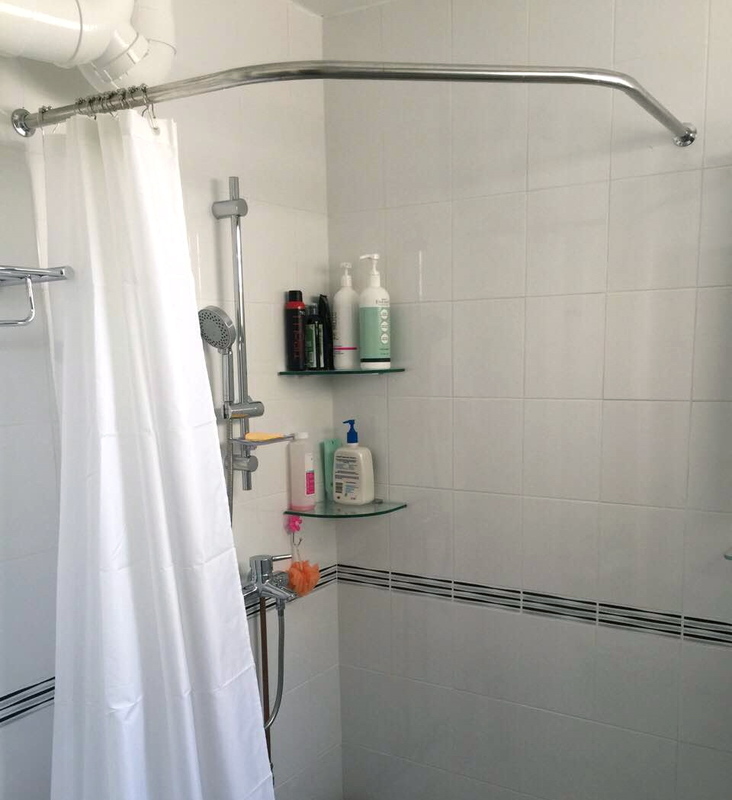 Space Saving - You will be able to make full use of your bathroom with the installation the shower curtain rod which does not obstruct or hinder you like the glass panels do. 7. 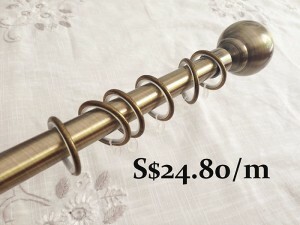 Cost Saving - Installation of stainless steel shower curtain rod is much cheaper than the cost of doing a shower glass panel. In Ming's Living, we are offering a package of $255/bathroom for HDB home owners. 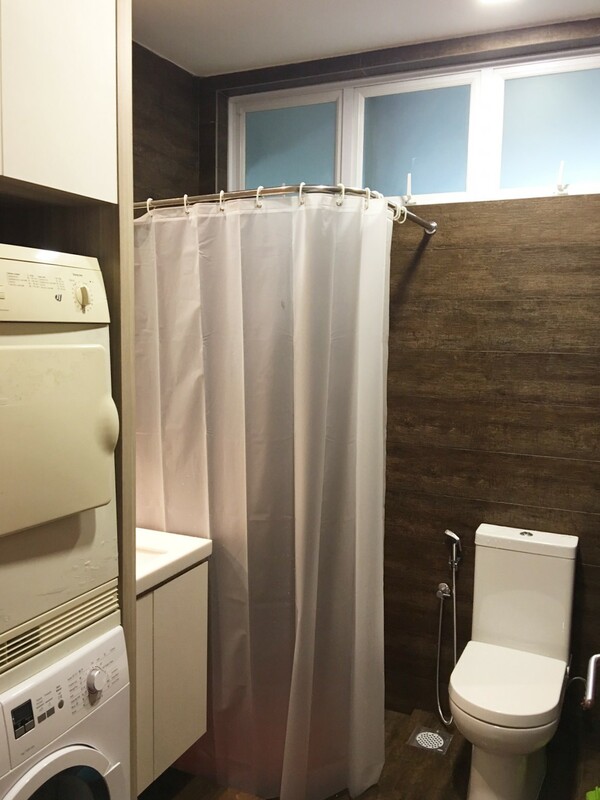 The package includes 1 customized shower curtain rod, installation, and a set of complimentary shower curtain. 8. 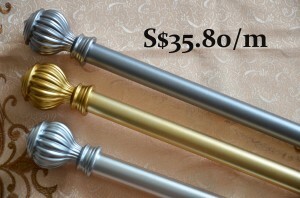 Easy maintenance - Stainless steel shower curtain rod does not need maintenance. unlike shower screen which always poses problems like occurrence of mould at the silicone sealer strips.